As fashionable and stylish as they are, as great as they accentuate the legs, calves and help you stand tall and elegant above the crowd, high heels come with many downsides. All too many women know just how painful these contraptions can be when standing in them for long periods of time, or walking in them for miles on end. The person who unlocks the secret of how to keep your feet from hurting in heels will be a billionaire. However, even with all of these known negatives that come with high heels, they are still highly sought after, worn by millions daily, and even splurged upon during expensive shopping sprees. With this said, common beliefs or phrases such as, “no pain, no gain”, or “the price you pay for beauty”, gives many people the drive and determination to not even give the pain they feel or the irreparable damage they may be doing, a second look. What many people fail to realize is that the pain they feel is very real, and the effects of high heels on the body are long lasting. A 2014 survey from the American Podiatric Medical Association, was participated in by a number of the world’s most renowned foot and leg physicians. This survey specifically explored the damage that is done to the feet, as well as the residual effects they take on the rest of the body when high heels or ill fitting shoes are worn often and for extensive periods of time. 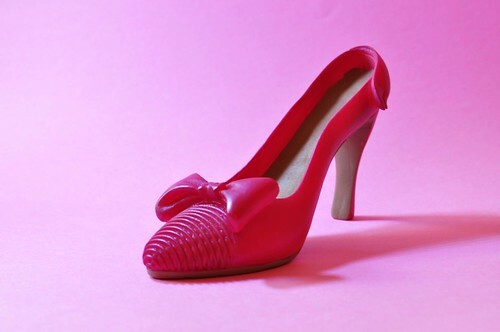 The survey was found to confirm that high heels in particular were the footwear that caused the most amount of foot pain, and they are also responsible for the most common occurrences of foot pain among women. Well, besides the obvious, which is taking your perfectly normal foot, and intentionally narrowing it to fit inside a shoe that comes to a point, which is nothing similar to the natural state of the human foot, as well as elevating it four to six inches, and walking, contorting your foot into a steep “plantarflexed” position makes all wearing these shoes all the more dangerous for your health. Imagine standing on your tiptoes for hours; even the strongest of legs needs a reprieve every once in a while, and so while wearing shoes such as high heels, the legs, feet, knees and all of the muscles, tendons, and bones in these areas of the body are subject to mass muscle fatigue and strain. This leaves these once sturdy and strong areas of the body, far more open to injury or permanent damage. Some of the more documented issues that arise from poor footwear are things such as calluses on the feet, blisters, bunions (some often requiring extensive surgery to help correct), and ingrown nails. According to division director of podiatry at Loyola University Chicago, in a Time’s article on how heels damage the body, Dr. Rodney Stuck, the higher the heel, the more issues the feet are likely to have. Even the most frequent wearer of shoes not formed to fit their feet correctly, or that propel them off the ground in order to walk, do not experience pain in the extremities that extend past the toes or the heel, at least not immediately. But the most significant risks of anyone with a high-heel habit may begin to feel pain somewhere down the road, especially in the area of the upper leg, the hips, and even the spine. If and when this occurs, it’s the body’s way of letting you know that something isn’t right; pain in any form means that you should adjust the things you’re doing to alleviate further damage. In most instances, the pain is associated with the fact that lots of time spent walking in heels is proven to actually change the overall structure of the muscles and tendons in the calves, making them weaker, which then puts strain on the thighs, hamstrings, knees, hips, and the lower back. Because of the way that high heels position the feet, they are unintentionally helping to shorten important muscle fibers in the lower limbs, and in turn they harden the Achilles tendon which is needed to be flexible for proper foot mobility. Dr. Marco Narici, a professor of clinical physiology at the University of Nottingham who was part of the aforementioned study on the effects of heels on the feet and the rest of the body, stated that these muscle changes significantly lower the ankle’s range of motion, and contribute to an increased risk for strains and sprains. Not only this, but damaging these areas of the body over and over with such implied force means that the state of the kneecaps comes into question as well. This force can lead to the early osteoarthritis, and other bone ailments within just the legs alone as mentioned in one study published on The Journal of Orghopaedic Research. More and more doctors of chiropractics are warning against the dangers of shoes such as high heels, not only for their potential to harm the legs, feet and ankles, but for the damage that they can do to the upper torso and the spine as well. These shoes, are known to alter your posture and gait permanently. So How Many Women Wear High Heels? According to the numbers in a recent survey conducted by The Spinal Health Institute, a whopping 72 percent of women wear high heels at some point in their lives, with most of these women being between the ages of 18 to 30. So, damaging the body so often, at a time when the body should be in its prime as far as health goes, does not bode well for the future for many of these people that fall into the category of wearing heels the majority of the time. The same study shows that roughly 35 percent of women wear heels to work everyday, or even out dancing, where their feet see some considerable action in these shoes. The fact of the matter is, the body will naturally try to compensate for the irregular balance that these shoes provide while you stand in them. this means that the heels are caused to flex forward as well as the hips and spine, essentially moving your entire body into a position that puts strain on the back, legs and feet. To maintain balance, the muscles become tense, and leads to muscle fatigue, pressure on the joints and irregular posture and walking. The normal S-curve of the back is actually naturally designed as a shock absorber, taking considerable amounts of pressure off the vertebrae. High heels causes the lumbar spine to flatten out, and the displacement of the spine and head from a healthy position. When the lower body has to overcompensate for the pressure being put on it by the feet, the body tends to lean forward causing misalignments of the spine, head, neck, hips and knees. Wearing heels as often as even a few days a week for hours at a time can lead to anatomical changes within the body.Spondylolisthesis, which is the moving or “slipping” of vertebrae is known to occur often in those that wear heels a lot. 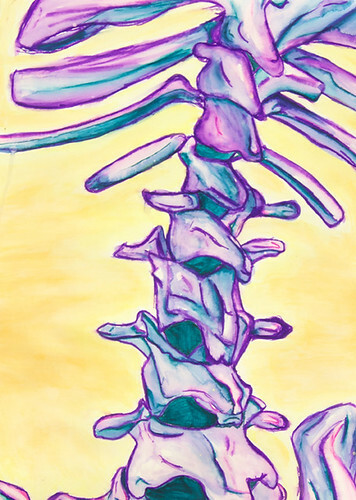 this usually happens in the lumbar region of the spine, and this is often troubling, as this is the area where the body’s weight is concentrated. One way to easily combat the many issues of high heels, or ill fitting shoes is to simply throw them out for good. Now, obviously in certain settings and professions this isn’t possible, so there are a few simple solutions to keep you stylish, but healthy in the process. A nice small or lower heel, greatly reduces the risk for these many potentially damaging conditions. Wearing flats, or shoes with arch supports or insoles is a great way to preserve your body and your feet, and only wearing heels when necessary, for short amounts of time. Regular chiropractic care is also one of the best ways to not only prevent any injuries, strains or permanent damage to your body, but also to ensure that if you are wearing heels, you’re doing so safely. A chiropractor is able to properly identify any misalignments in the spine, the hips, the ankles or any of the other joints affected by wearing heels, and may be able to help correct any damage that has already been done. If you’re not quite ready to ditch those stilettos, heading to the chiropractor may be the best decision you can make in regards to your own health and well-being. If you suffer from any pain, or have any issues in your feet, stop by The Joint, and let our friendly, knowledgeable staff and our doctors of chiropractic assess you and get you on the road to a healthier you. This entry was posted in Blog and tagged Chiropractic. Bookmark the permalink. © 2014 The Joint Corp. All Rights Reserved.